two weeks before i was to leave for cebu, someone asked for my flight details, so i checked my email for my electronic ticket. i only knew i was supposed to fly out on a saturday morning via air philippines, and not much else. i entered some keywords for my search but couldn’t find any palpable indication that i had actually already booked a flight. at some point i worried that i may just have imagined everything. i was looking at a specific window: i thought i booked at some point during the summer. as it turns out, i was more excited than most people because i purchased the ticket in december, eight months in advance. 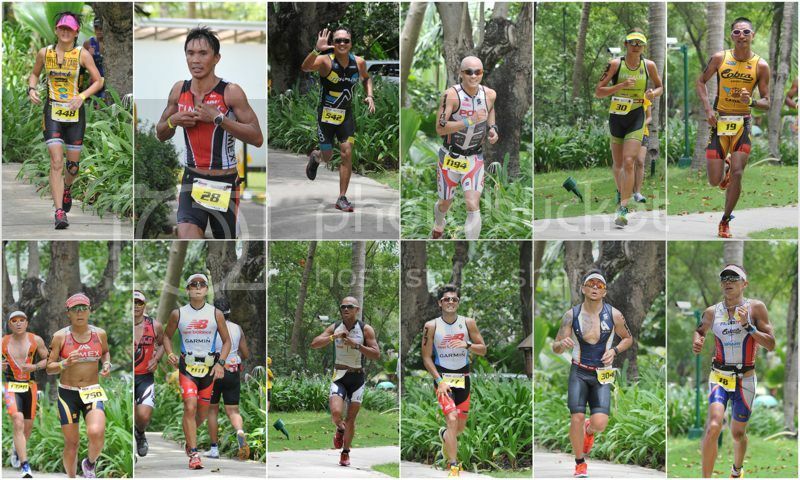 i went to cebu for the purpose of supporting friends who were competing in the fourth edition of the cobra energy drink ironman 70.3. i was conspicuously absent in the first three stagings of the event in camarines sur, for reasons which i have been rather public about. besides, in many cases the date always conflicted with a BMC-related event, and my priorities were clear. 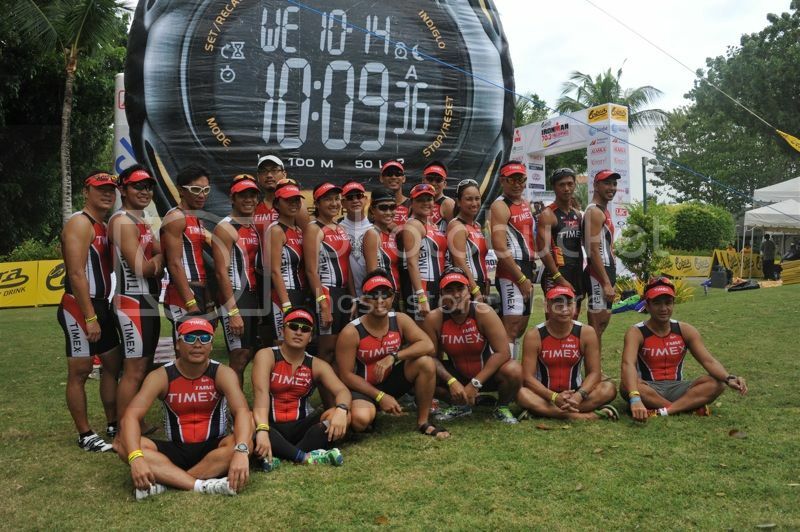 most of my triathlete friends, particularly those who started out as mountaineers, are part of the TMM timex. TMM stands for team mang mar. the team was formed by roy and don when they competed in the subaru action asia adventure challenge 2006 in singapore, of course with the blessings of our faithful and perpetual benefactor, kuya mar. i was somehow coaxed to joining them, and i ran from bridge to bridge in singapore in my flip-flops, taking pictures of my friends jumping into the river, or hanging from viaducts. 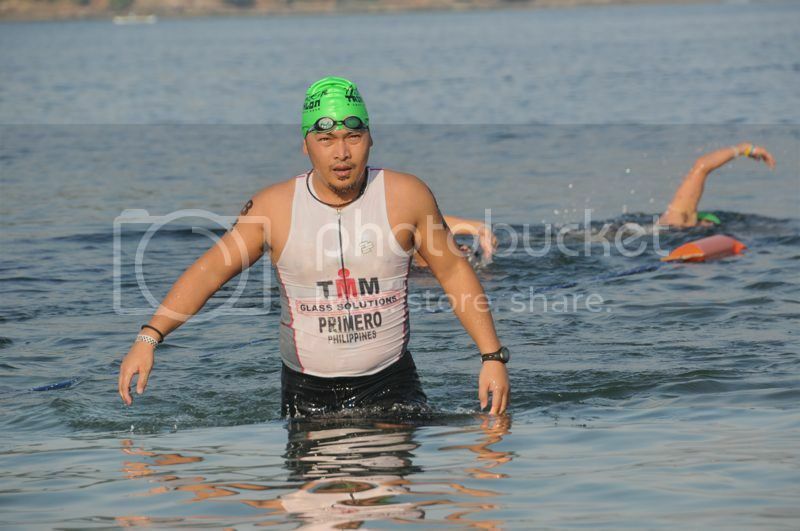 when don and roy returned to manila, they decided to try out the then growing sport of triathlon: they competed in the ITU asian long distance triathlon in subic. i also tagged along, again as logistics officer, photographer and head cheerleader. that same year, i also cheered them on when they competed in the whiterock triathlon, and then again in the anvaya cove invitational triathlon. it was when timex came in as major sponsor, and the team took in more members, and the athletes were under pressure to overperform and finish on the podium, that i felt my help and contribution were no longer needed, and i allowed myself to fade into the background, and almost entirely disappear from the team. but the original TMM members insisted that i come back, so without hesitation, i was hailed to sunny cebu for the triathlon. besides, i was guaranteed a series of free nights in swanky hotels, so i really did not quite mind, notwithstanding that i would be sleeping on the floor. also, come to think of it, i have never really seen cebu. i have visited it many times. it was here back in college that i was forced to re-learn my cebuano, which at the time was dwindling to a handful of words. i came here one weekend to watch the sinulog, and another weekend where i just walked around aimlessly and ended up seeing more of the ayala terraces than anything else. so while our athletes stayed behind in their hotels, contemplating the challenges that waited for them come sunday, the support group decided to soak in the sights of cebu. there were few things to squeeze into the weekend given that the competition took almost half a day, but we managed to do a few things. first was the visit to the taoist temple in beverly hills. it’s highly recommended, even by lonely planet, but there is a major drawback: it would be difficult to visit without a car. but we did. 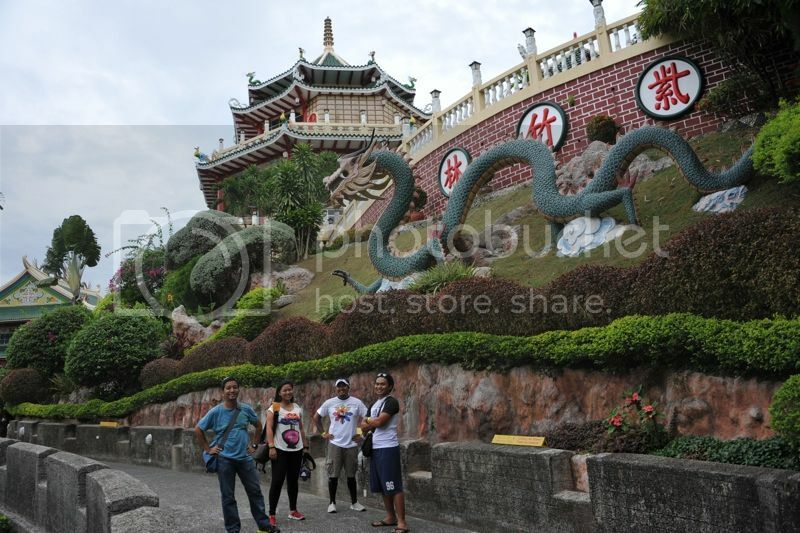 the taoist temple is a shrine perched on the slopes of cebu island’s hilly spine. the temple is open to visitors at no cost, and it’s somewhat of an attraction: tourists come in vans and hired taxis. it’s an actual temple, where local chinese come to burn incense, drop kidney-shaped wooden cards to the ground to answer questions, pray, and meditate. the temple has in its employ a few people whose main preoccupation, it seemed, is to make sure you don’t take pictures of the saints. 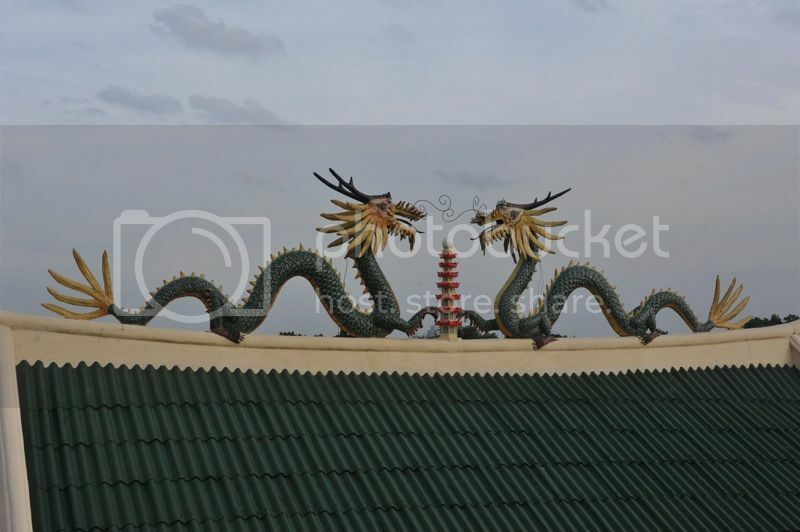 the temple’s design does not depart from taoist tradition, and were it not for the signs in english and cebuano, you might actually think you’re somewhere else. almost everything else looks authentic, save perhaps for the goofy-looking dragons which reminded me of the flying dog in “never-ending story”. the temple is actually somewhat along the way if your destination is tops, nestled on a spot that overlooks metro cebu, all the way to the island of mactan. from that vantage point, and despite the haze, it is possible to see the runway of the airport, and the shape of shangri-la hotel in the distance. i’ve been to this place twice before, and in one evening visit, i remember it to be a very dark park, unreached by the urban lights of progressive cebu. this time around, i was rather pleased to find that it already had establishments selling food and drinks. and presumably, electricity might be available in the evening. all this comes at a cost of course: entry into the park now charges PHP100. until then i always thought it was called tops because it was on top of a hill. apparently, it stood for the osmeña peak. whether that’s actually true or a prank, i can’t be sure. the santo niño shrine in old, downtown cebu might also be worth a visit if odd religious rituals appeal to you. 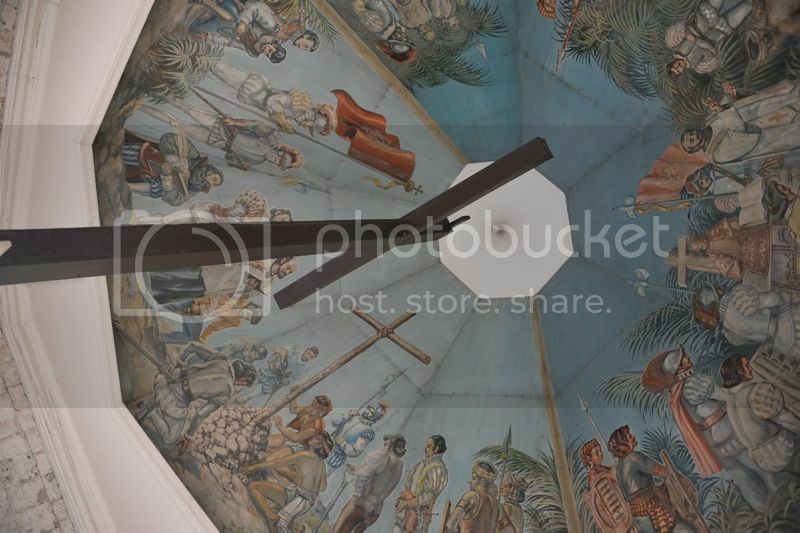 we went inside the mactan shrine, where the original cross of magellan is encased and displayed. there, old women who are dressed alike offer to sell candles and say a prayer on your behalf. the candles are colored according to your specific concern: love, money, family, but regardless of what your heart desires, the result is the same: the women engage in this trance-like dance where they hobble back and forth, sway their hips from side to side, and wave the candles as though they were warding off flies, while chanting -- in very old cebuano -- a memorized petition. and then they walk into the church to light the candles up. next in our itinerary was something not traditionally cebuano, but unique to the city: what they claim to be a world’s first: the edge coaster and walk at the crown regency. 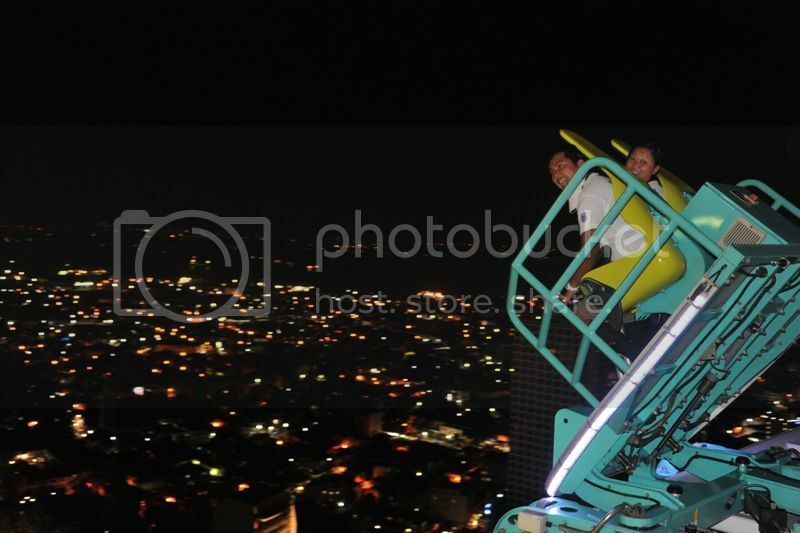 for a package of PHP750, you get an combo that involves a 90-second ride around the building’s 38th floor on a pair of roller coaster seats that tilt forward at an angle of almost 70 degrees and a long walk while tethered to some cables. the first is a brief but exhilarating ride: you get this feeling that you’re being thrown off the edge and into the dimly-lit streets below. at first i thought it was too short, but then i realized if it had been any longer, the excitement would have been seriously diminished. the walk, on the other hand, takes a while longer, depending on the propensity of the guides to prattle on about mundane things. you’re required to wear this orange jumpsuit and a body harness is attached to cables on the ceiling. at certain points of the walk they make you sit on the edge or do stunts to give you a feel of being really on the edge. they also fake slipping if only to inspire fear and dread. 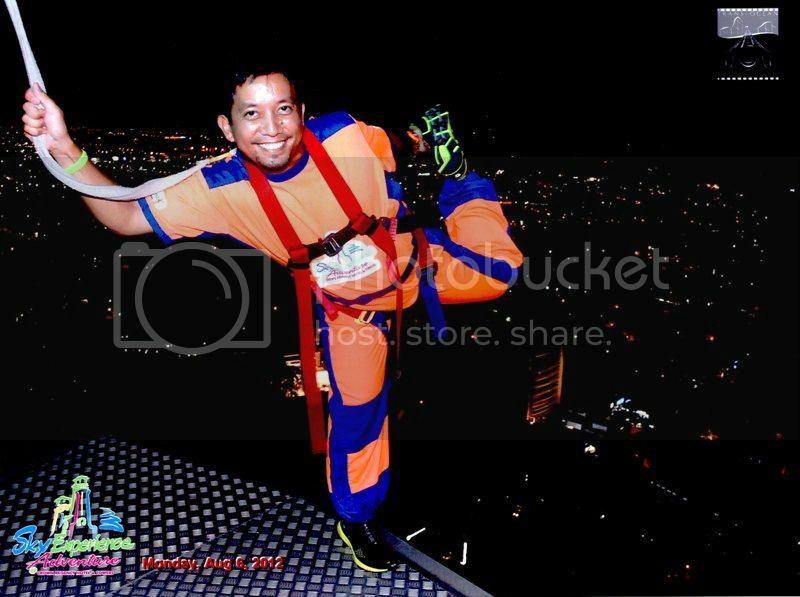 if you even have the slightest bit of acrophobia, the experience can be an absolute adventure. but i don’t, so the novelty and excitement quickly faded and i was actually tempted to throw myself off just to get some thrill and an extra shot of adrenaline. you’re not allowed to bring a camera outside though, but they take many pictures of you, so you’d have to fork over a generous sum (one 5R is PHP240) if you want to leave with a souvenir. one would be grossly mistaken to think of cebu as lagging behind manila. in some respects, it’s actually far ahead. but one of the more curious things i discovered while i was there was that my visit coincided with the opening of three 7-11 branches. i wouldn’t consider that an event, but apparently, for cebuanos, it was such a big deal that they came to the convenience stores in droves, lapping up the slurpees and ordering the far from delectable microwaved food that they serve. i had to queue for more than 20 minutes to pay for my bottled water and a couple of beers. like i said, it was a source of much curiosity for me; i wonder whether the reaction would be the same if a new convenience store chain opens in manila. 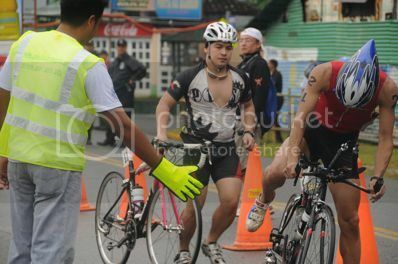 and of course this brings me to the reason why i was in cebu in the first place: the ironman. TMM-timex finally had a legitimate winner -- by legitimate i mean one of its athletes placed second among the pinoy elite -- and not just nominal age-group winners. some of them still finished under six hours, which is a commendable feat altogether, and first-time full triathlon participants acquitted themselves with respectable finishes, considering that cebu’s streets are filled with escalating challenges: the asphalt in parts isn’t even and the heat was contrastingly unbearable. meanwhile, while they tackled their 90-kilometer ride, i was inside my room on the shang’s ocean wing (apparently the most expensive) watching the olympics or monitoring the odd weather in manila. i was told that the conditions were particularly difficult along cebu’s SRP, with winds battering the bikers from all sides. a rumor spread that the unfortunate death that happened during the bike portion resulted from a tumble caused by a wayward water bottle that had been dropped in the subway leading to the SRP, and this allowed everyone to form conclusions about route safety, the biker’s relative inexperience or his negligence, and the carelessness of the owner of the bottle that was the proximate cause of the crash. i actually wondered why they chose to bring the casualty to a hospital that was rather far away from where the crash had happened. the following day, however, all these suspicions were laid to rest when an autopsy proved that the biker’s death was a result of acute pulmonary embolism, apparently something fatal but very difficult to detect and could happen very suddenly. it’s right up there along with bangungot (medically known as but possibly unscientifically attributed to acute hemorrhagic pancreatitis) and the dreaded aneurysm. i finally went down from my room just in time as the overall winner was crossing the finish line. i was looking for a good spot to take pictures, and i decided to sit under the shade of a tree just as the runners made their way back into the hotel’s premises, less than 500 meters from the finish line. it was a good spot, i would suppose, since the runners were either about to fizzle, or pouring the last ounce of their energy to finish, so i captured some very dramatic grimaces. after niel trotted his way to the finish, i stood up and left, although there were still around four runners from TMM-timex who weren’t done with their labors. 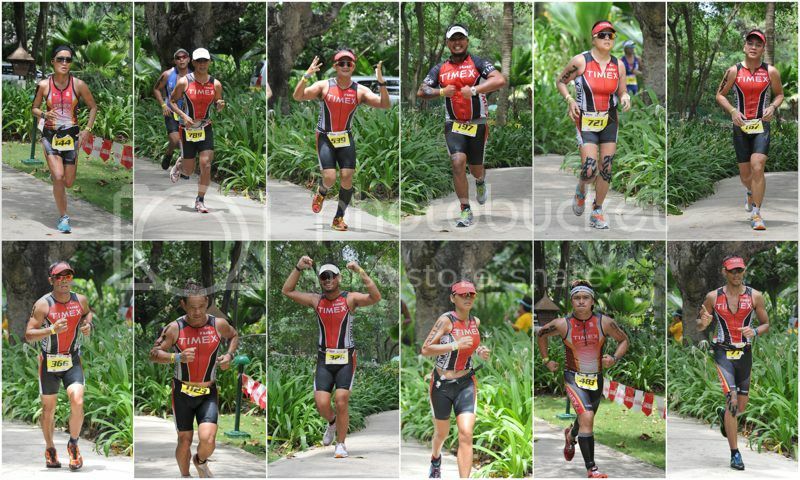 i walked aimlessly around the shangri-la mactan and found myself fenced out of the finish corral. i just decided to watch as finishers joyously proclaimed their victories by raising their arms in triumph, which should really be magnified by the unseen sacrifices of months of training. some american guy announced names which he clearly had difficulty pronouncing, even more so some very filipino words. i chuckled when he kept repeating peeh-sehy for pisay. i’m often asked if i’ve considered joining triathlons. my response has always been the same: i’ve actually done a sprint-distance off-road triathlon, in which i drank half the sea, and made very public love with a couple of buoys. i very seriously almost drowned in that event. that is why i regard those who do finish these multi-sport events with a lot of respect. i certainly cannot do it with my current state of fitness. apart from that, i’ve come to regard the triathlon as the new golf, in that it is a strange sport loved by those who can afford it. it is an extremely prohibitive sport, and while the most obvious expense is a good bike, there are hidden charges that pile up: training, nutrition, equipment, and the exorbitant registration fees. so i toast to triathletes all over for demonstrating determination and perseverance to better themselves, notwithstanding sometimes inhospitable conditions and unfortunate mechanical troubles. i may not have made myself more obvious in sincerely congratulating you guys for your achievements, but know that you are always admired.